and FRP materials to return these structures to full strength and resist harmful chemicals. 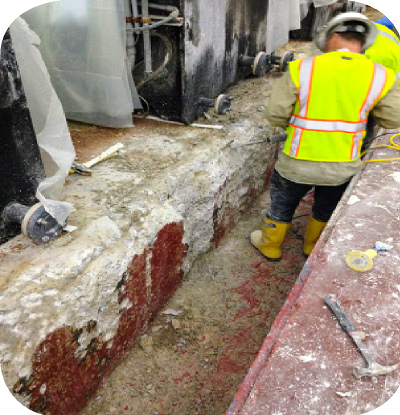 Exposure to Chlor-Alkali solutions in this manufacturing facility degraded concrete trenches and floors creating safety hazards and loading concerns. HJ3 engineered a repair solution to remove degraded concrete, clean remaining steel reinforcement, prior to filling voids with CarbonSeal Polymer Grout. 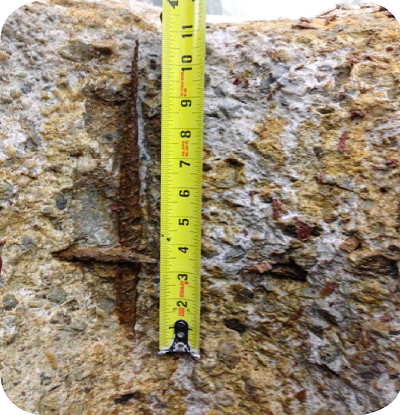 CarbonSeal strengthening systems were then used to provide tensile reinforcement to the surface, greater than that of the intitial steel rebar. 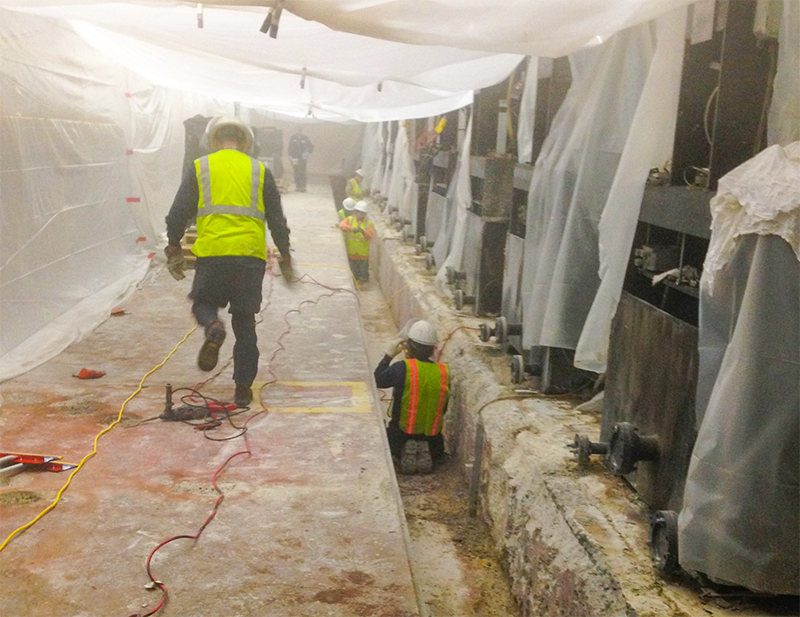 A protective top coat was applied to resist future chemical attack and provide long-term containment for the facility. Final CarbonSeal Coating installed 3 years ago. No other coating lasted 6 months! See more containment case studies here. Not only are HJ3 products 40%-50% stronger than competitors per ply, they are designed to withstand high temperatures, abrasion, and aggressive chemical environments. If you have a containment problem, we can help. Contact us at 877-303-0453 or fill out the form. We are here to help with your project needs.